Protect your watches with this elegant Black 10 Grid Watch Box. 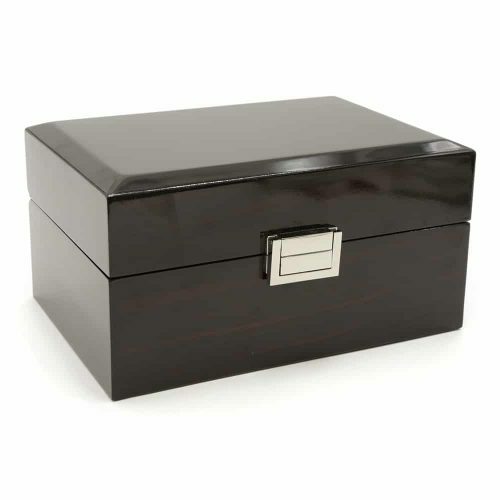 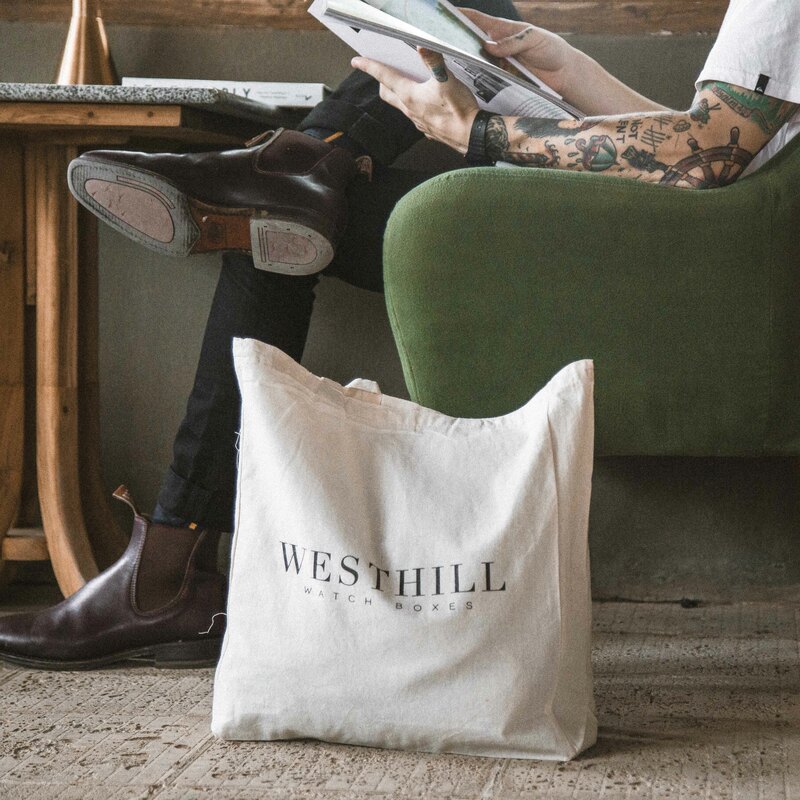 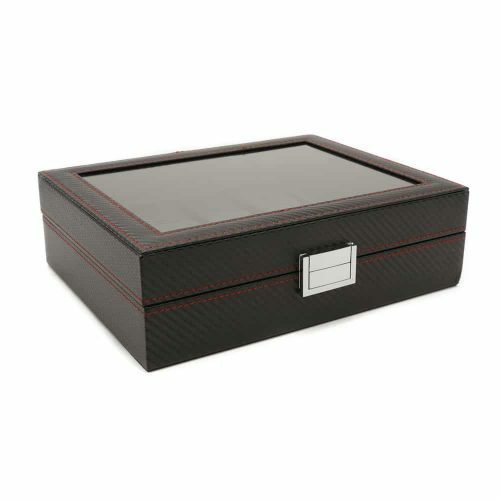 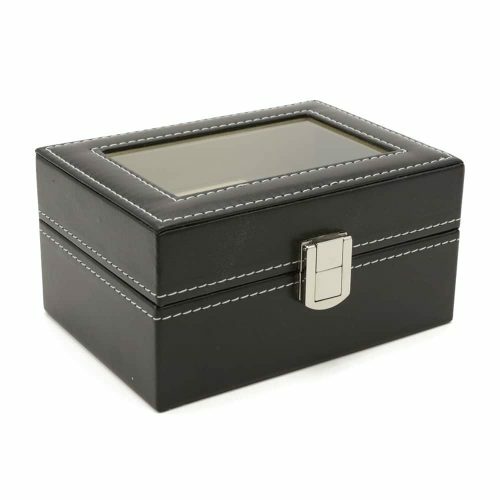 This box is made of the highest quality PU leather accentuated with white stitching. 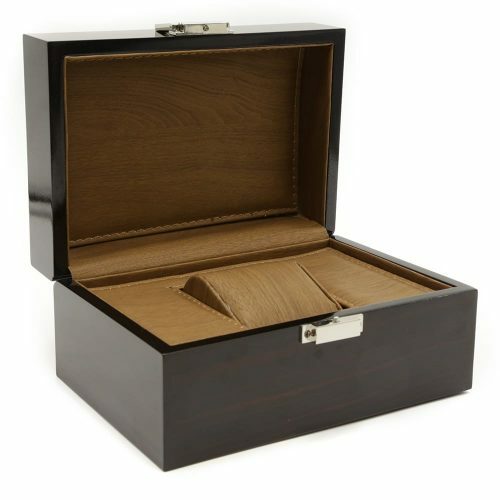 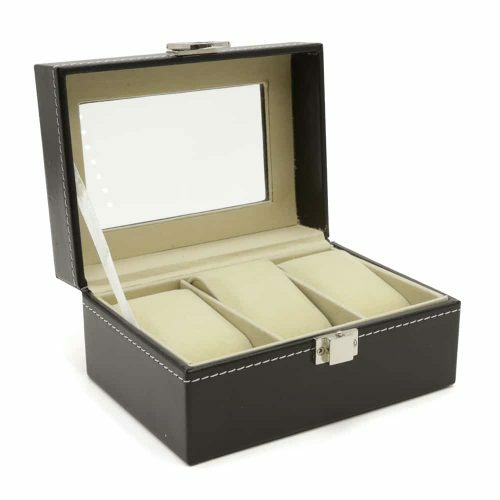 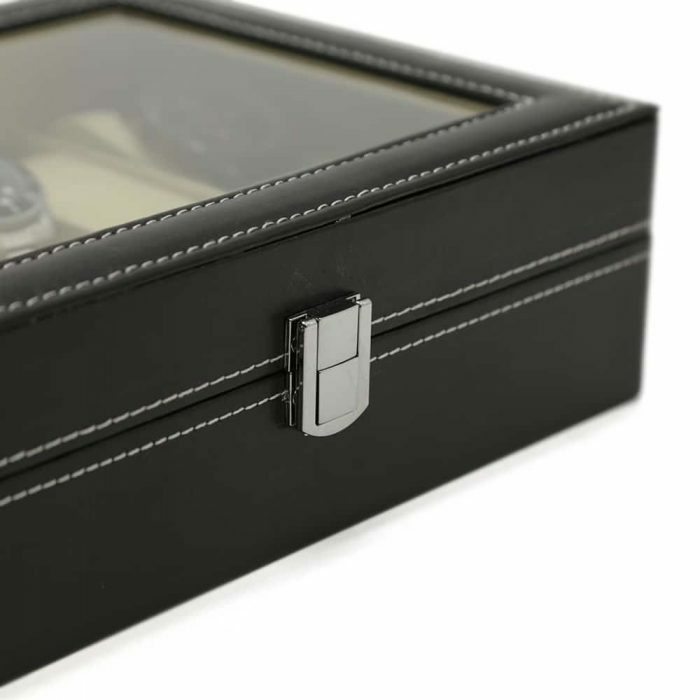 The interior of the watch box is fitted with a soft velvet material in cream with space for up to 10 watches. 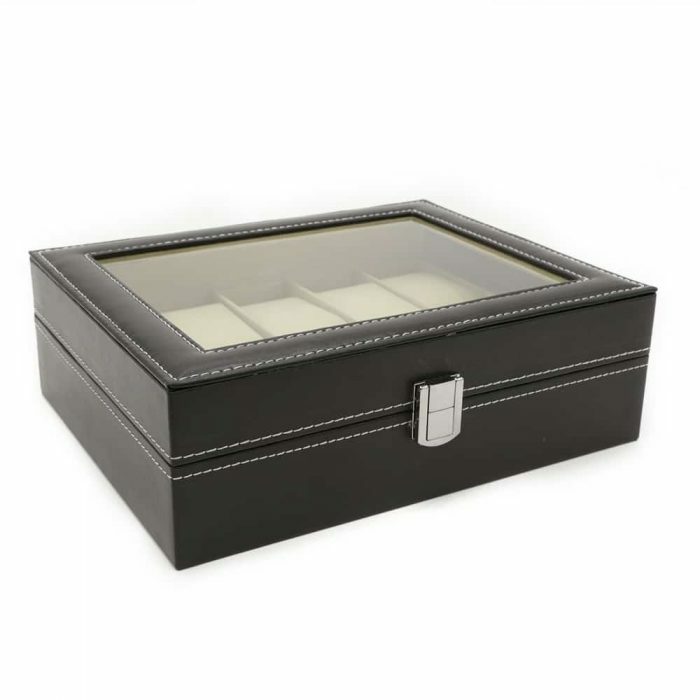 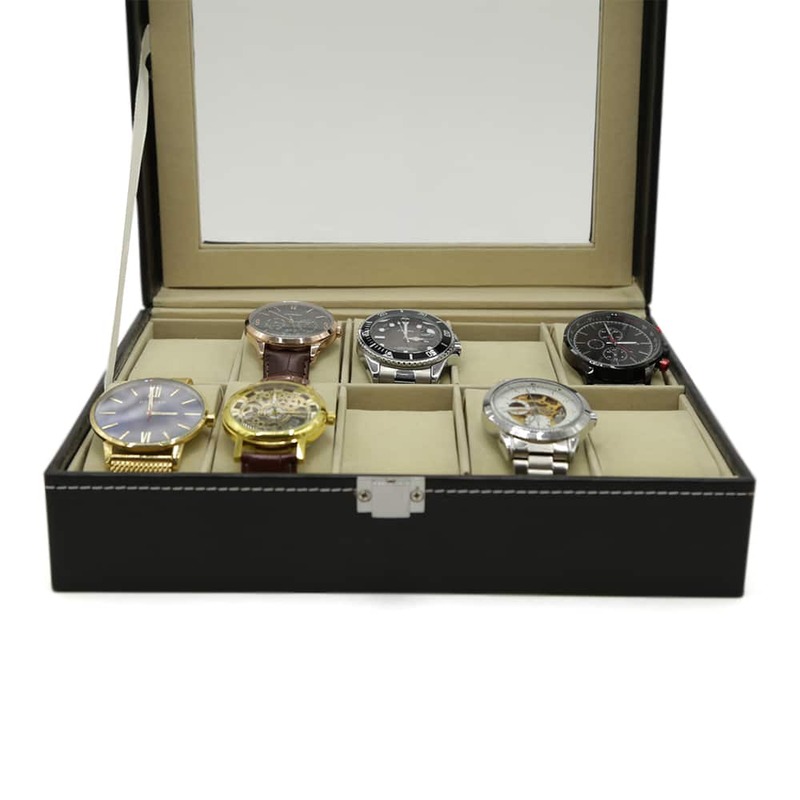 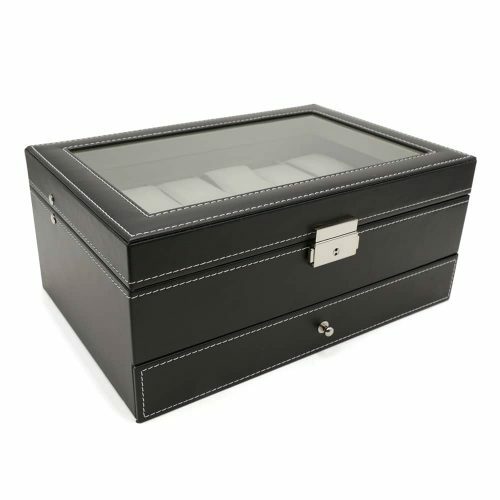 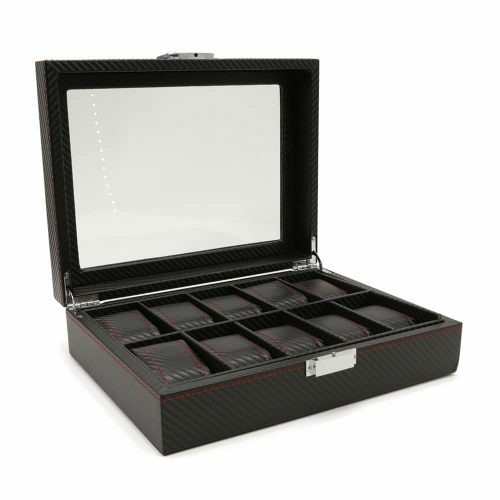 For easy viewing, the lid of this watch storage box has a see-through panel making it easy to select a watch from your collection. 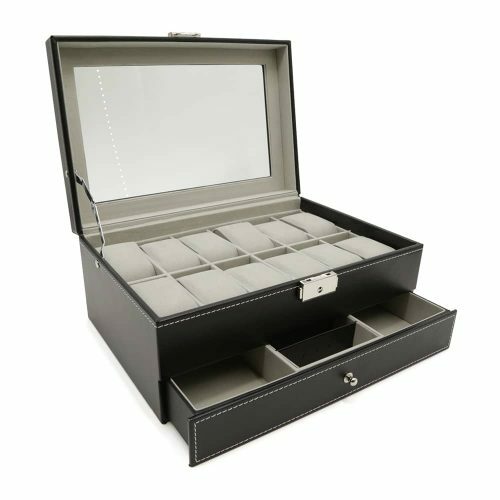 To ensure your valuables are guaranteed scratch-free and dust-free, it comes with a front clasp in silver.